eFoodHandlers® comprises a family of websites dedicated to expanding food handlers's access to food safety education and information throughout the United States. These websites, referred to collectively as the eFoodhandlers Network, all offer affordable, FDA-based training to food handlers, workers, students, volunteers and the economically challenged. At eFoodhandlers, no one is denied training due to an inability to pay. eFoodhandlers' Basic Food Safety course is ANSI (American National Standards Institute) accredited. This means that their program has met the rigorous standards of a national accreditation organization. ...Thank you for conducting your business in such an honest manner, it is very rare and much appreciated. God bless this company. You guys help others and that is a blessing.. Companies need to care more like you. Great course and excellent preparation for safe food handling. This is an excellent program and I've made it mandatory for my culinary students. I have suggested it for our farmers market vendors in Hawaii. I do volunteer work and needed my food handlers card. This site is AWESOME. I told my friend about it. I'll be telling others about it as well. It is very informative. I like that you can watch the parts that you're not sure of. The fact that it gives you sample questions is fantastic. Great job. Thank you. 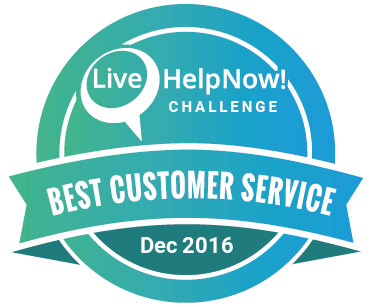 Awarding winning Customer Service means we care about You! For any technical issues, contact our Webmaster. Please be aware that Network members may or may not be owned by eFoodhandlers Inc. Always refer to that website for specific ownership information, including policy, training instructions, price, and methods for support.